We’re not going to get our soapbox and explain all the reasons and dangers of chemical pesticides. We do, however, support organic gardening and know that the most common reason these days why people use chemical pesticides is because they believe through watching commercial marketing that organic pesticides don’t do an effective job. We live in a society that often wants (or rather, demands) expedient results, and so we are conditioned to search for products to make our lives better is the quickest way possible. And so we’ve relied on lab-created-chemicals to tame pests instead of nature-made solutions. Rest assure, natural and organic pesticides do deliver exceptional results as their chemical counterparts. There are several excellent natural pesticide recipes that you can use to get rid of pests damaging your plants and flowers. 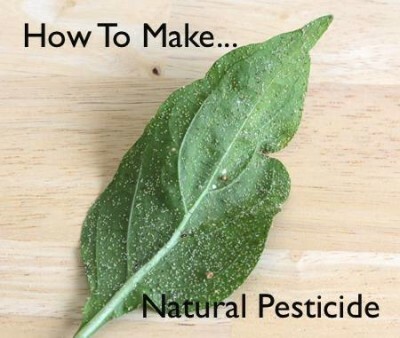 This recipe provided by Seasoned Homemaker, however, is one of the best as it uses garlic and peppers as it’s base, and these ingredients are highly effective in deterring unwanted pests.